The Pacers defeated the Cavaliers 105-90 tonight in Indianapolis for their 5th straight win. 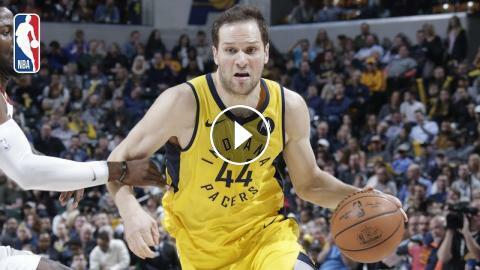 Bojan Bogdanovic led all scorers with 23 points (9-17 FG) and 2 assists, while Cory Joseph tallied 10 points, 10 assists and 9 rebounds for the Pacers. Jordan Clarkson scored a team-high 18 points with 6 assists and 2 rebounds for the Cavaliers, while Larry Nance Jr. added 16 points, 10 rebounds and 2 blocks. The Pacers outscored the Cavaliers 54-32 in the paint and totaled 31 assists on 45 made field goals. With the win, the Pacers improve to 37-19, while the Cavaliers fall to 11-45 on the season. Full Game Recap: Pacers vs Pelicans | IND & NOP Battle Down To The Wire!